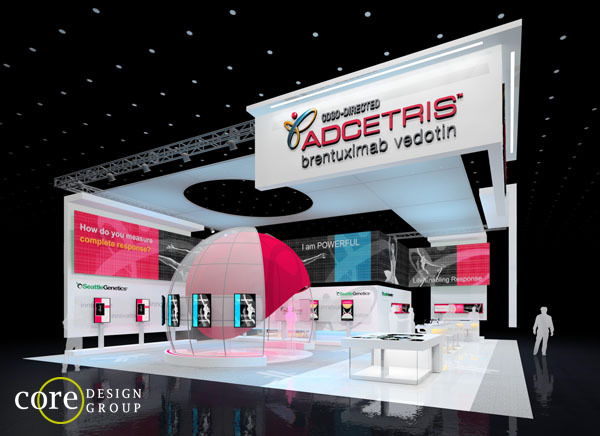 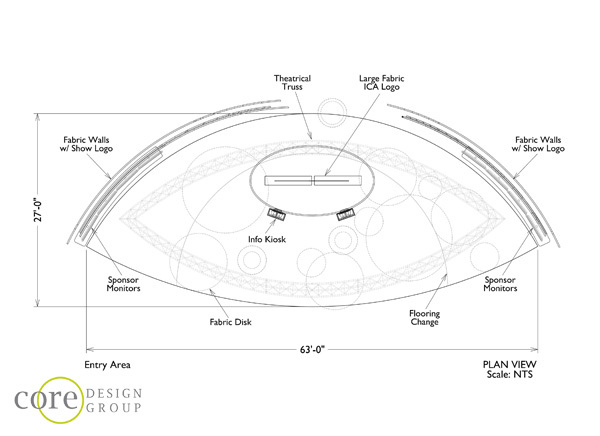 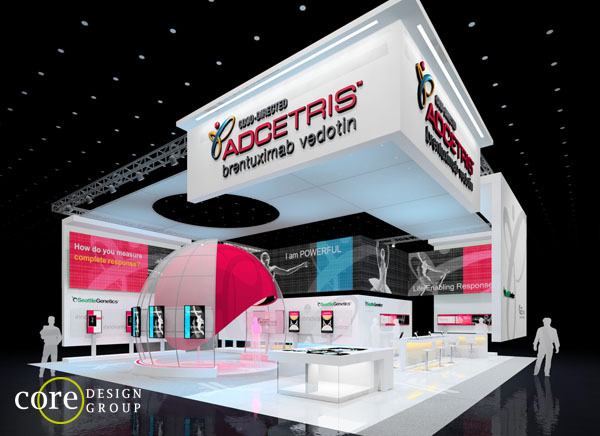 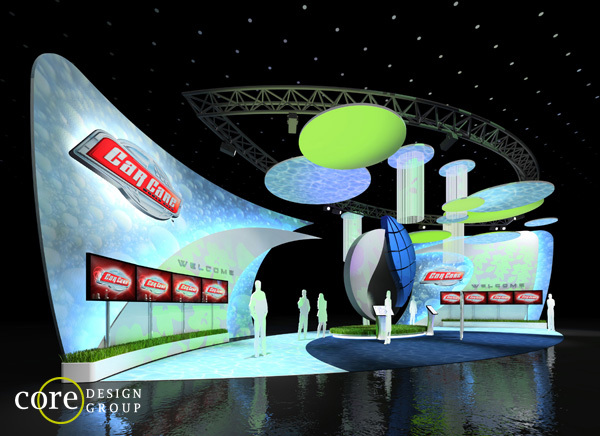 Seattle Genetics concept for a 108′ x 112′ Island Exhibit for multiple Auto Shows in Canada. 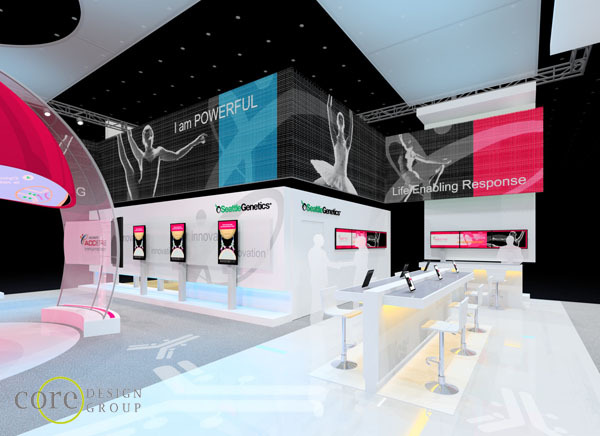 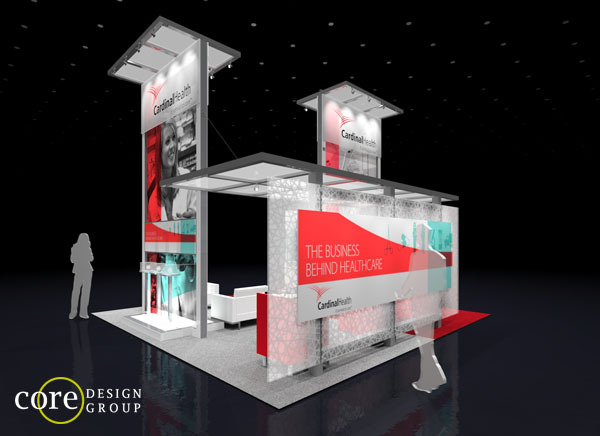 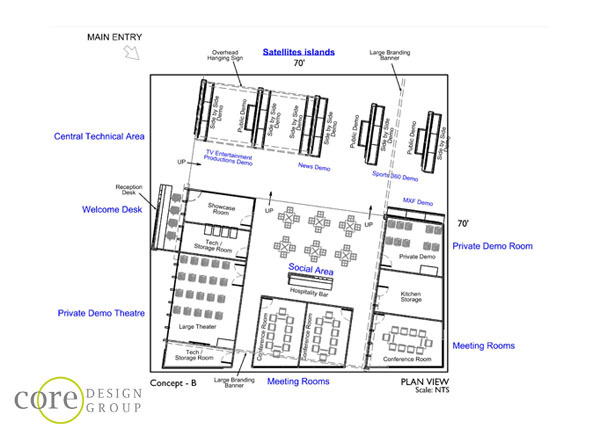 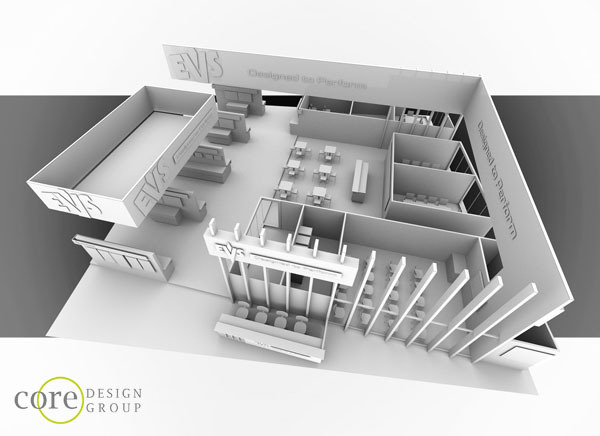 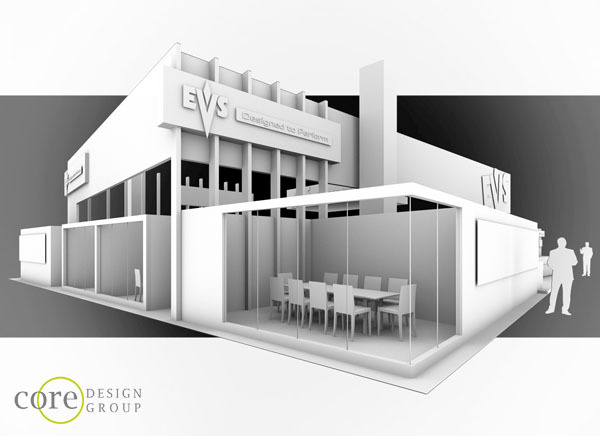 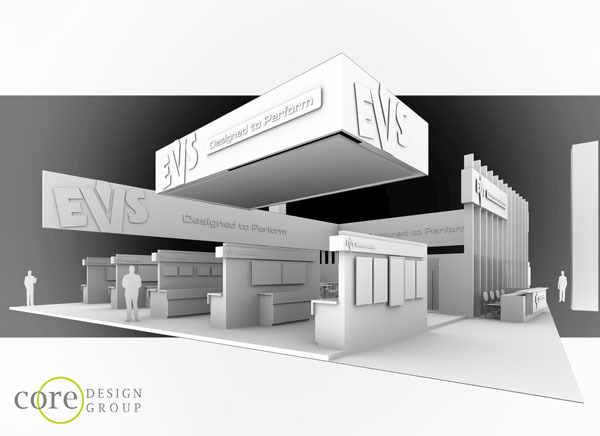 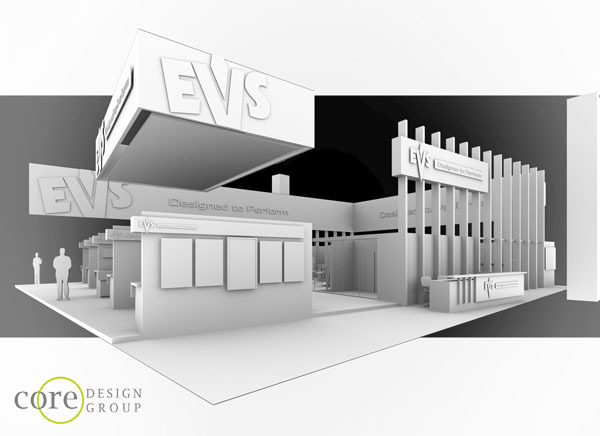 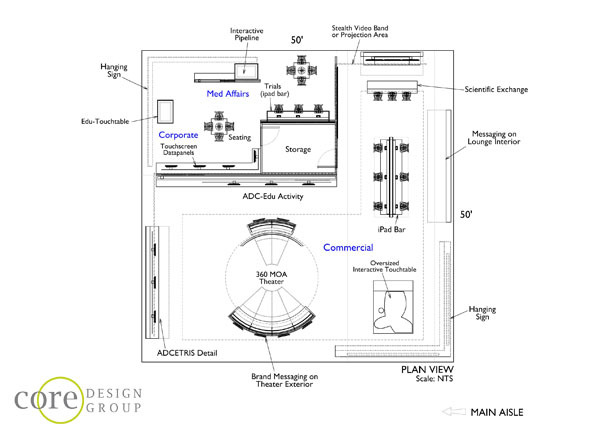 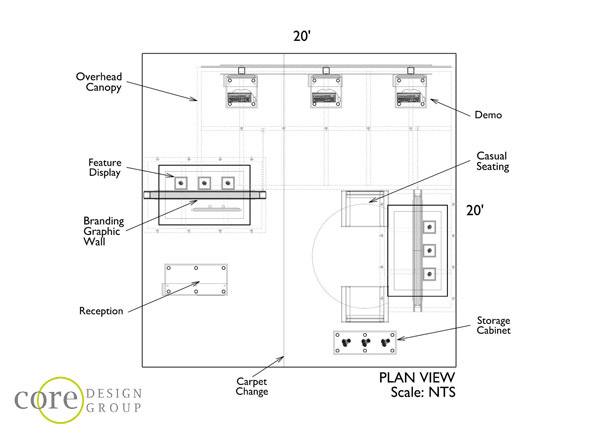 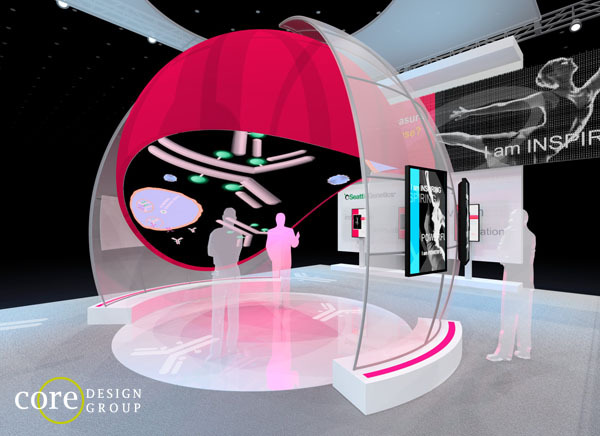 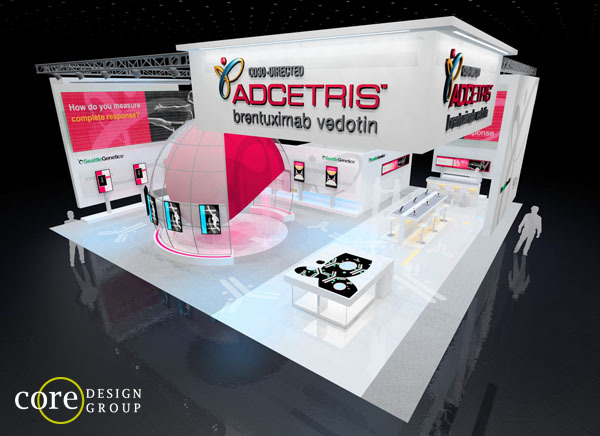 EVS exhibit concept for NAB 2012. 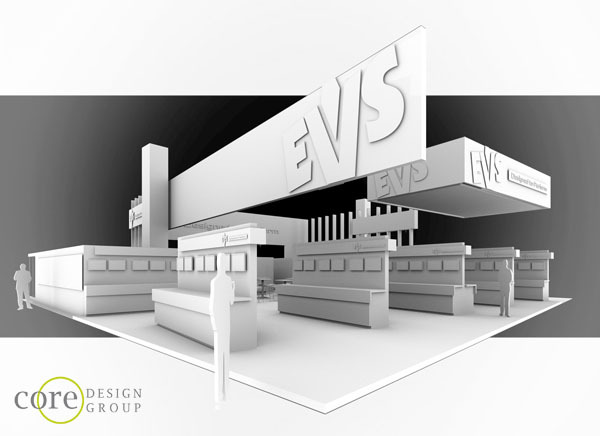 These images are a great example of B&W rendering for visualizing design concept. 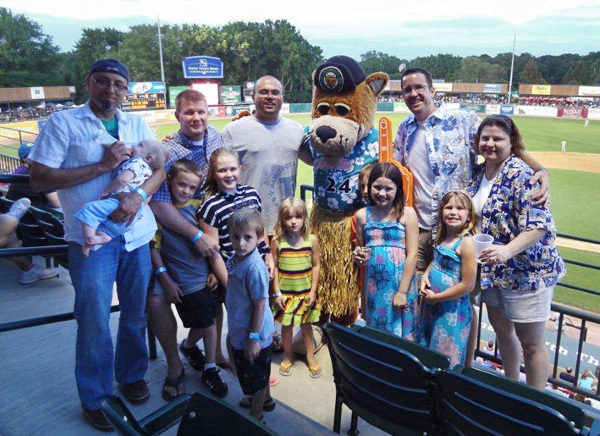 Core celebrates its 11th Anniversary with the Core family with a night at the ballpark. 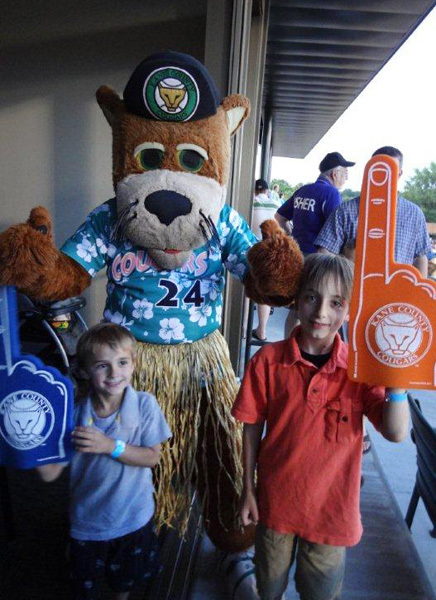 Go Cougars! 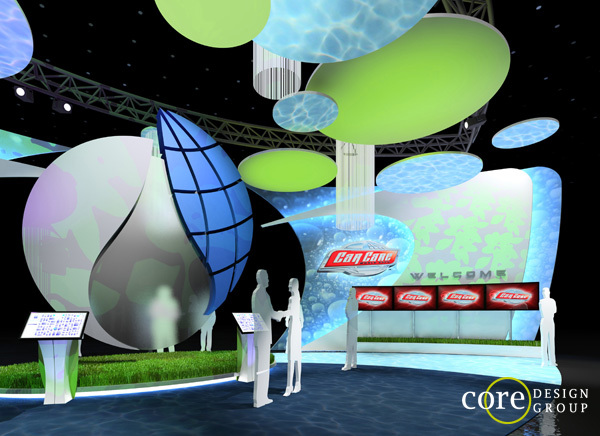 This stunning 27′ x 63′ Entry booth uses “water” like Gobo lighting effects to give a car wash themed feel to welcome visitors to Car Care World Expo 2012. 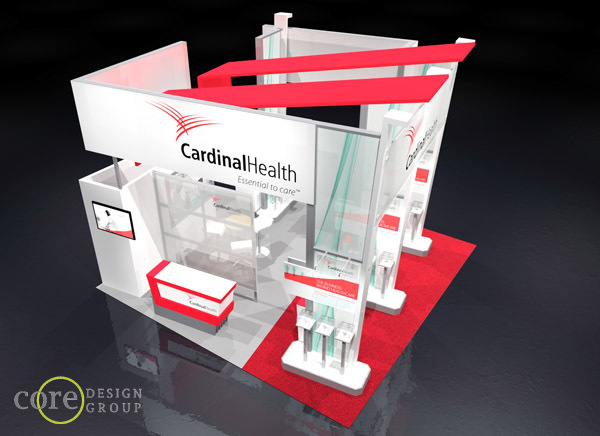 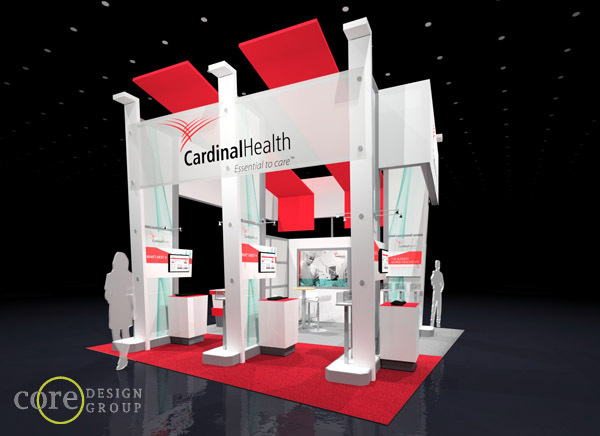 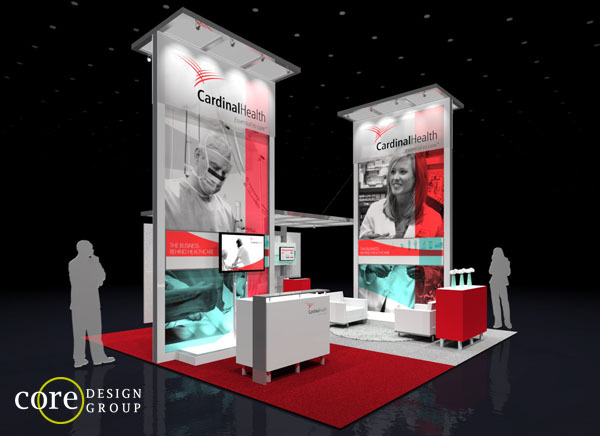 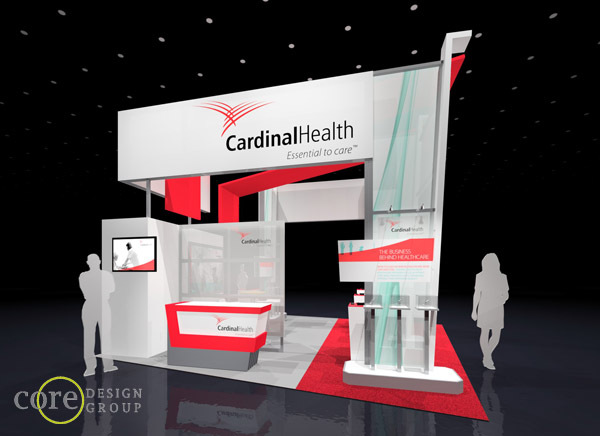 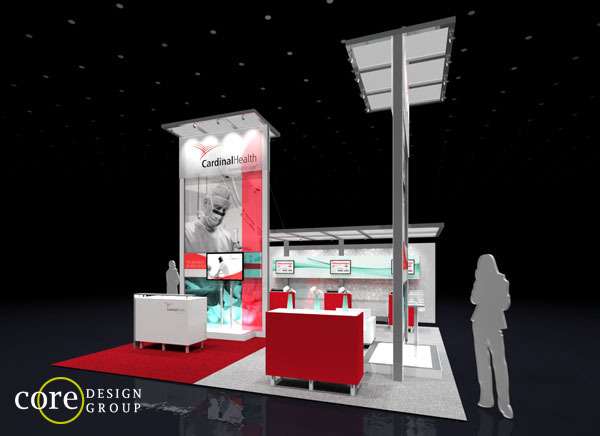 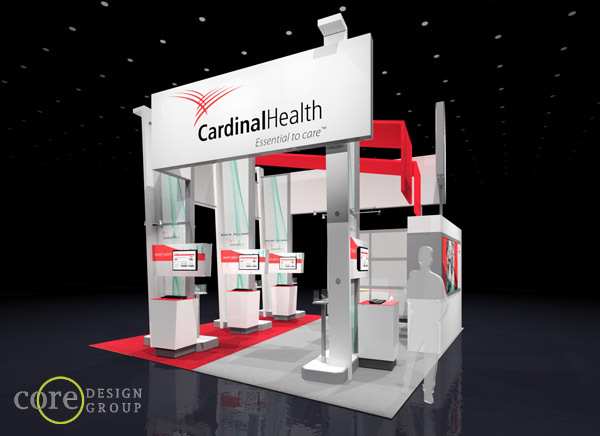 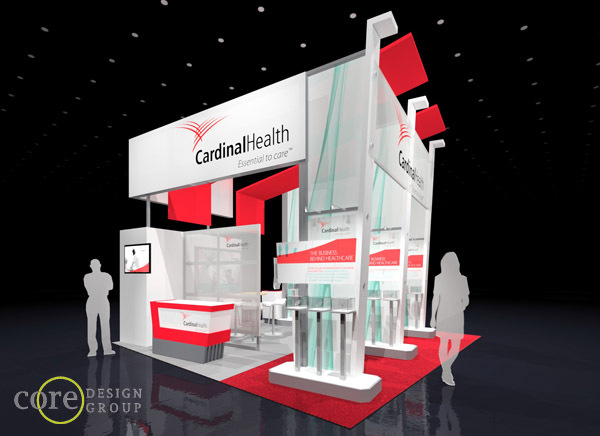 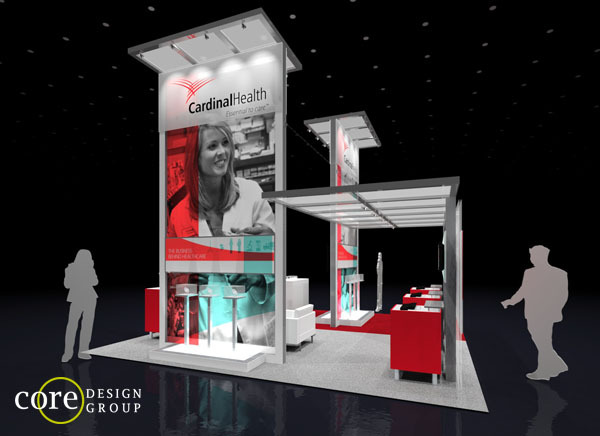 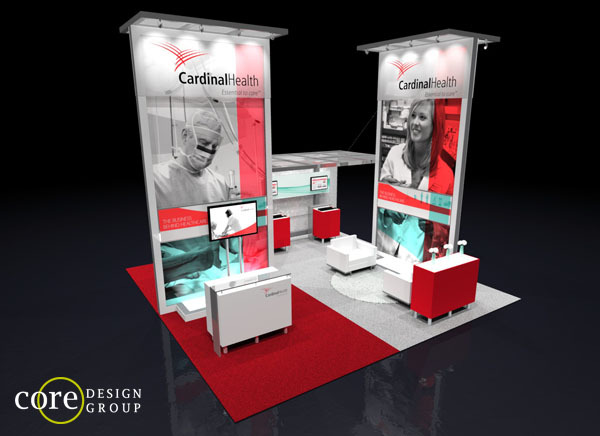 Here is another design for Cardinal Health useing the studio sixty three’s S series. 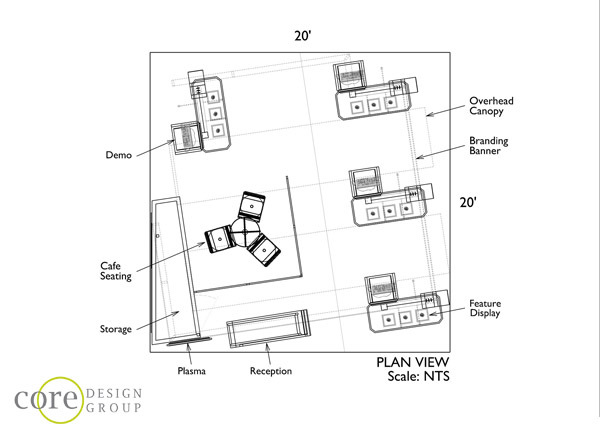 See images and pricing of the S series at StudioSixtyThree.com. 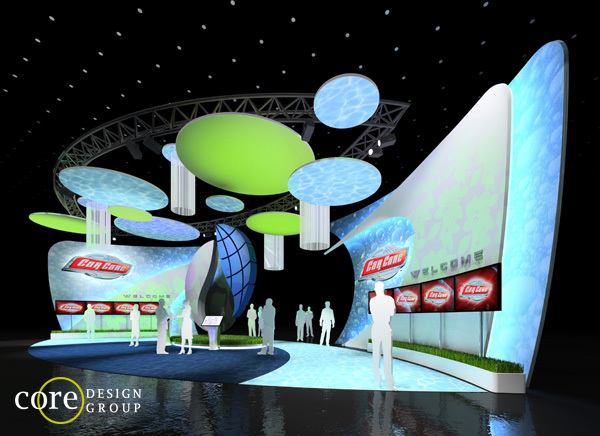 StudioSixtyThree.com. 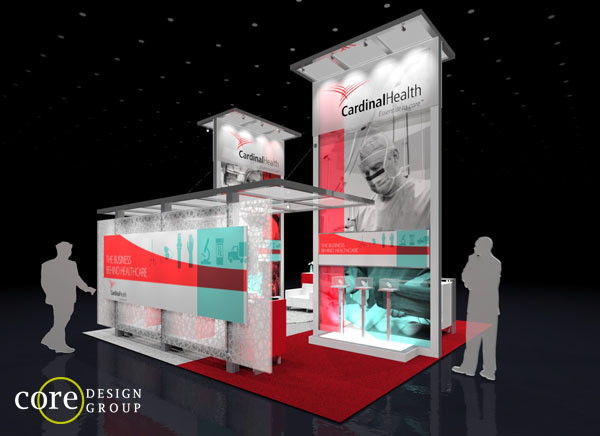 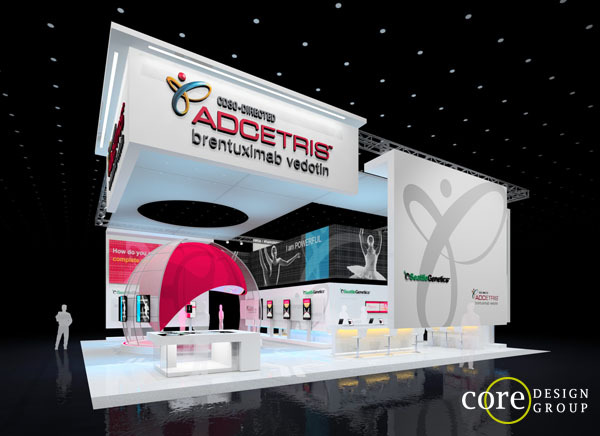 This beautiful 20×20 was achieved with a simple change of branding colors and graphics. 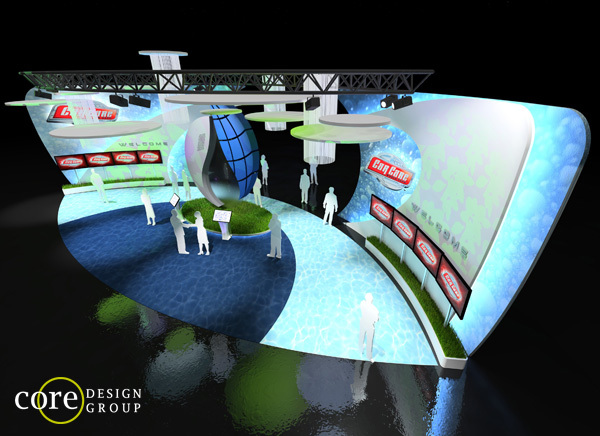 See the G series at StudioSixtyThree.com .